7 wonderful parent-friendly uses for bread soda! Do you sometimes wonder how much money you spend on handwash, carpet cleaner or any other toiletry/cleaner “musts” for the household? Well there’s this little item sitting in my cupboard, cheap and cheerful, totally parent friendly. And it is most likely sitting in your cupboard too! Two words – Bread Soda! 1. Shampoo – Mixing a handful of this powdery goodness with your favourite shampoo will make sure your hair gets a good clean, especially you have used any hair styling products. 2. Body Scrub – We all know our shower time can be limited these days, so all you need for this is 3 parts bread soda and 1 part water. It creates a gentle exfoliant which leaves skin clean and soft. Very quick to mix right before your shower! 3. Handwash – I am particularly impressed by this one! Again, you make 3 parts bread soda and 1 part water (or your favourite gentle handwash for the water part) and store in a pump bottle. It leaves hands super clean and without any harsh fragrances too. 4. Clean your babies clothes – The wonderful thing about bread soda is that it is a gentle cleanser. 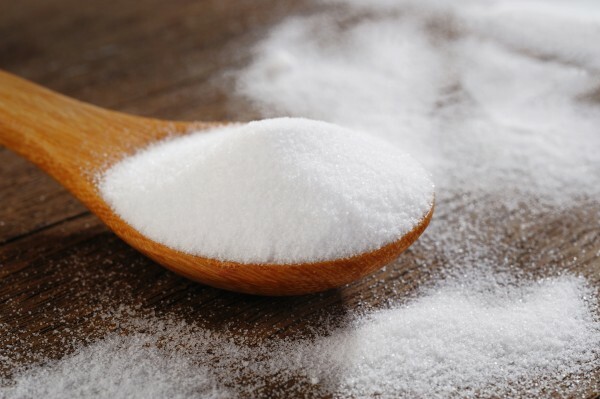 Adding a half a cup of baking soda to your usual laundry detergent will help lift tough stains. 5. Freshen up cuddly toys – I’m sure I’m not the only one with a child that has a growing mountain of cuddlies! Over time though you really just want to freshen them up. You can do so by sprinkling them with baking soda, leave for 15 mins and then brush it off. 6. Remove crayon marks – If you have a mini Da Vinci on your hands, fear not! Rub the surface gently with some bread soda on a damp cloth and it should disappear! 7. Clean toys – Mix 4 parts bread soda to 1 part water and get scrubbing on all your little ones toys. Again it doesn’t leave them overly scented but yet lovely and clean! So there you have it! Seven amazing uses, seven simple steps. Save on the cents, and maybe a bit of your sanity! Thanks for the tips! It really is a wonder product.